Country Living on a 5 acre lot! This custom built home features granite counter tops, stainless steel appliances, tile in living room, dining area, kitchen, hallway and bathrooms. Built-in office desk, indoor laundry room with plenty of cabinets for storage. Did I mentioned the drive to shopping centers and College is only 3 minutes away? Hurry make your appointment NOW! 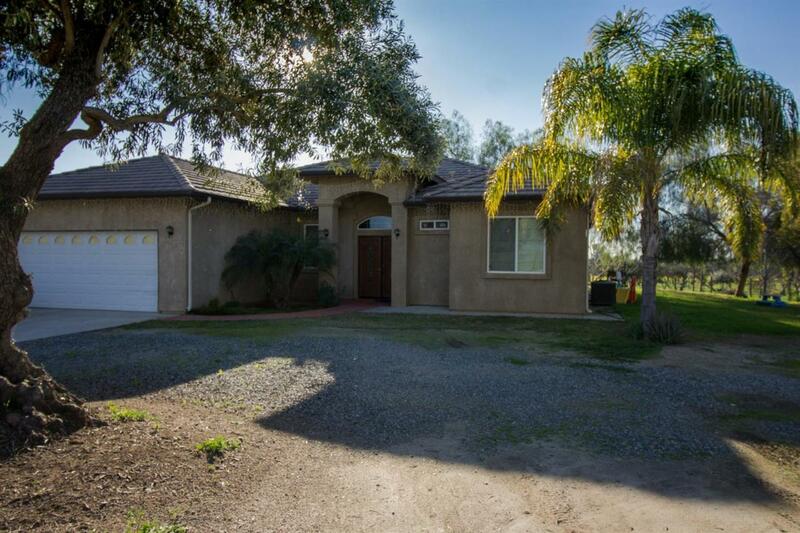 Listing provided courtesy of Jacory Gonzales of Keller Williams Realty Tulare County.